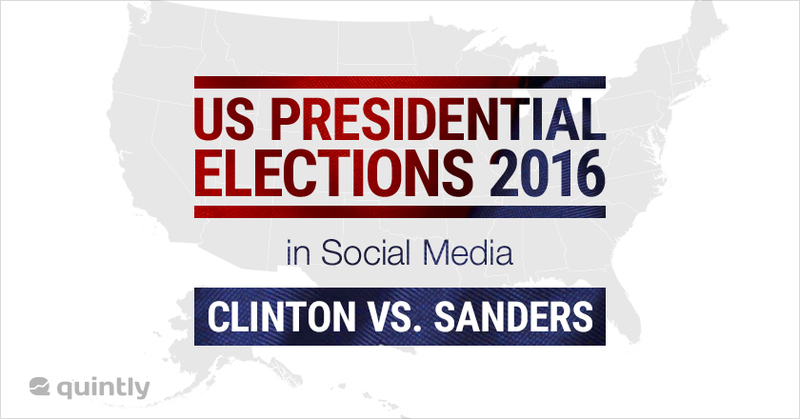 The social media analytics provider quintly just revealed findings regarding the Twitter performance of Hillary Clinton and Bernie Sanders. For the last six months the data shows that Clinton has a significantly higher, still steadily growing, amount of followers but receives 30% less interactions on the average tweet. The article shows the different dynamics behind Clinton’s and Sander’s social media appearances. While both started off in very different positions, the growth of their profiles is largely the same as they could each gain around one million additional followers. To link online and offline, the social media analytics company correlated social media data and approval ratings. In this second post of their presidential elections blogging series these findings differ between the two democrats. With social media analytics it becomes much easier to detect parallels between the offline and the online world and it is really interesting to see how this also affects the upcoming presidential elections. Through its US Presidential Elections blogging series quintly applies competitive social media analytics to a compelling example and makes the topic accessible for a broader audience. For Facebook live stats during debates, quintly offers a free tool to identify developments real time. For more information on the tool or a free trial, just visit https://www.quintly.com.